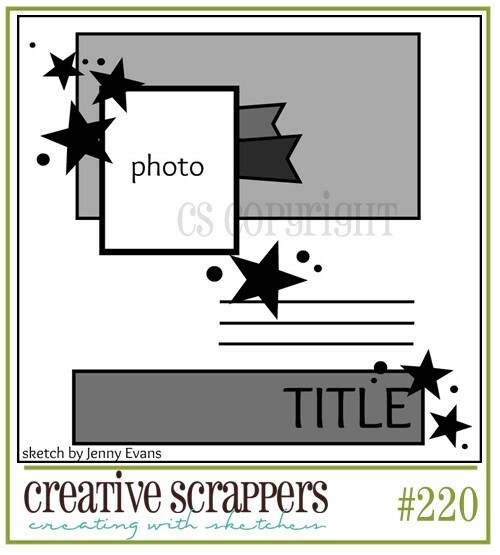 Bits & Scraps Of My Life: LMLC #101 Special Celebration! Hello and welcome to another awesome week at Lasting Memories! Of course that means another awesome challenge!!! This week we are looking for special celebrations.... and in honor of Karen and her own special celebration......HAPPY BELATED BIRTHDAY!!! Please take a moment to pop over and wish her Happy Birthday! No spankings tho cuz she can get mean.......just sayin!! We all have moments in out lives that are special or that stick in our minds more than others. For example, a sweet 16 birthday, first car, turning 21, anniversaries.......it can be anything, that is special to you!! My personal special celebration involves my 16 yr old Jacob. If you have visited with me before you have no doubt heard me whine about this being his senior year. It's going to be a year that he will remember the rest of his life........for me, as well. he will be the first of my boys to walk down the aisle and accept that diploma! He has an older brother, Matthew, who is profoundly Autistic and he will remain in school until he turns 21. Matthew's graduation will be no less emotional or important. But when you have a severely disabled child the future is quite a bit different for them ya know? But alas.......if we do our jobs as parents properly,something we have taught them the last several years has sunk in and will prepare them for adulthood. So that was the focus of my layout. 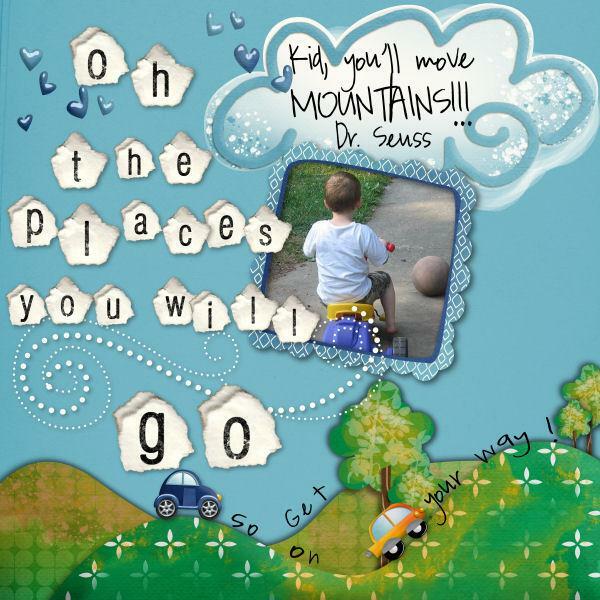 While blog hopping the other day I saw a challenge over at Child's Play to base a layout on the Dr Seuss poem. "Oh the places you will go" What could be more perfect for a graduate or someone preparing to graduate?? I'be done this theme before because I just adore the poem :) Wanna see?? Probably not but you know I'm gonna show it anyway so just nod your head and pretend you are still paying attention.....lol. This was one of my early digital pages and that's Jesse looking like he is running away from home......lol. I remember taking the photo and he was being a stinker and just turned his back and got on his trike add rode off on me. He was quite the little ham but quite the little drama king as well.......loved to have photos taken, on HIS terms!! Come to think of it, he is still very much like that!! Yes I know I am making this post a LOT longer than it really needs to be........when you visit me you should always be prepared to bring coffee to stay awake, you should know that by now!!! As always we would LOVE to see your special celebrations and hear the stories behind the layouts.........so con and play along and link em up so e can leave ya so luvin! As always, this challenge runs til next Saturday night at 9 pm!! These are both awesome!! LOVING that whimsical feel on that first one!!! I haven't seen the LO over at childs pay yet. So I guess I'll leave a comment now for LM and again later because I really love the place you'll go too. OMG, LOL! You crack me up, woman!! Thanks for the birthday wishes! That's hilarious. Love your take on our storybook theme!! Thanks for joining us at Child's Play!! Also, while I'm here (hehehe) love your LO for Lasting Memories to!! Very creative and fun .. love those thickers! Great job on both layouts. Love the Oh the Places you will go theme. I need to get busy and do that one too. I love the design and clouds on the first one a lot. Those are wonderful layouts. I like how you used the different thickers. Thanks for playing at CPC!! No, I never need coffee to stay awake at your post but I do need something to drink cuz I'm getting settled in to read a book! LOL! Love both your LO's! Love both LO! Hang in there Mom, having gone through it recently I know their leaving seems difficult, but a few tears later and you do survive! Oh this is so adorable layout and gorgeous too. Ohh Tina! Absolutely LOVE your new blog!! I guess I haven't been here in a while. I am playing catch up big time!! And just so you know... I DO have my coffee with me!! :-) Fun layouts!! Love them both! The whimsical one is such a treasured moment. My kids haven't tried anything like that yet. You come up with the best titles. 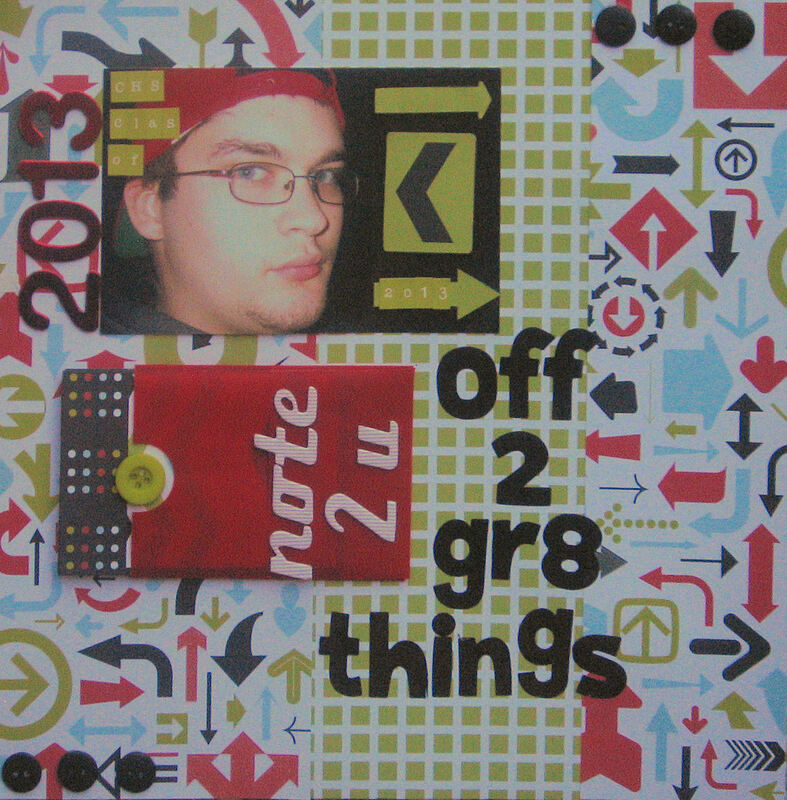 The 2nd layout "Off to Gr8 things." GENIUS!!! Love the number 8 in that one! Awesome Girl!! love love love your lo's once again... seriously you have some wicked talent!!! such a fun page and love how you did the title work on the top page and cars and hills!!! very cool. thanks sooo much for playing along with Childs Play!!! !